Sometimes I like to get a couple of cute cards made without spending a super ton of time on them. Other times, I HAVE to get a couple of cute cards made without spending a super ton of time on them. HA! That being the case, I have found a few tricks along the way to allow me to achieve that goal. Using similar products and a similar, basic design can help you to create unique cards that stand alone beautifully, but come together rather quickly. 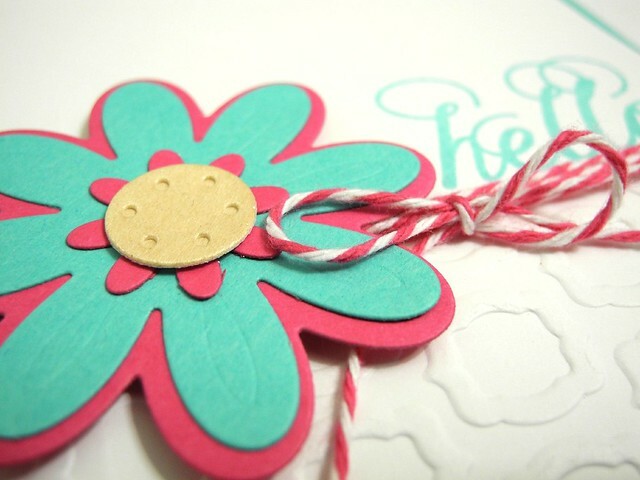 When I first saw these amazing Triplits dies designed by Stephanie Barnard for Sizzix, I knew I HAD to have them! They offer SO many possibilities. You can cut the pieces you need and layer them as you wish, offering endless variety and flexibility! LOVE THAT! 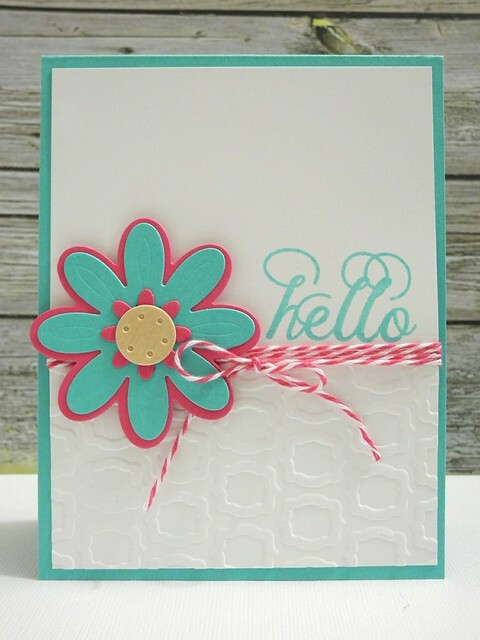 For this card I paired the Triplits Flower die set with an awesome new embossing folder from The Stamps of life. I kept the design simple, added a bit of twine, and layered colors and a bit of wood for texture and interest. I love this card. It is happy making. And then I made THIS card! Because I used the same type of supplies, along with a similar layout, this one came together SUPER fast! 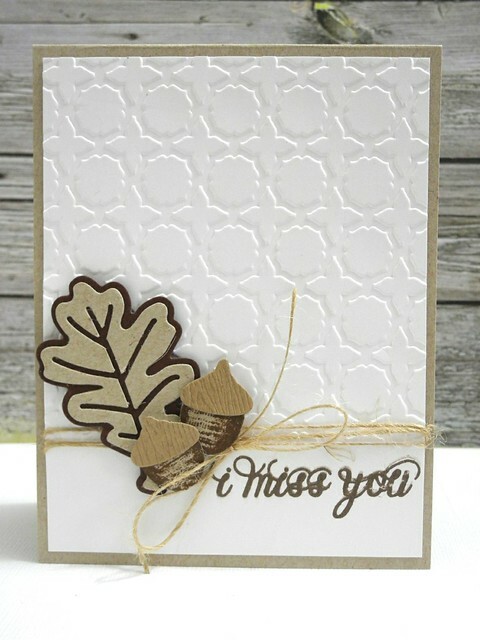 For this one, I used the Triplits Leaf die set and another awesome embossing folder from The Stamps of Life. Instead of twine, I went for a burlap string for a more natural look. So, there you have it! Two cards, similar products, similar design all coming together to make fast and easy work while also still being WAY fun! Please find my complete supply list below. These are wonderful! 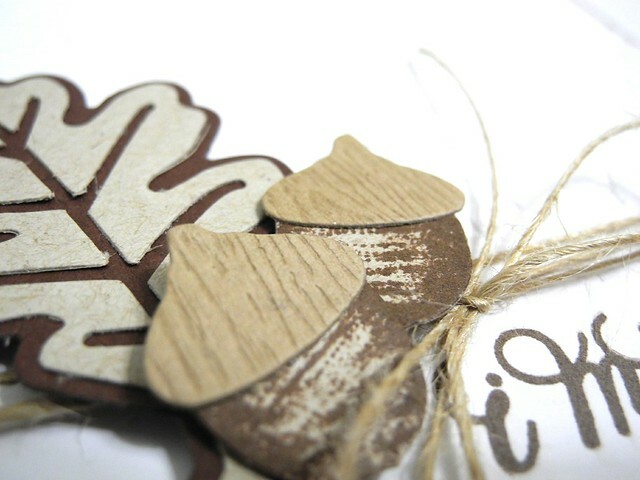 Love the embossing and dies! Simple, yet ever so sweet! pretty cards.. i love the color combo on the first with that gorgeous flower.. These are both so wonderful! Fantastic cards! Love the die cuts and the embossing. Interesting. You are right, both completely different. Oh what super cute and different! I know what you mean ha! And these are both fine examples of just how easy it can be to make a quickie stunner!!! LOVE!!! TFS!